*Model availability and pricing may vary by authorized Serta retailer. 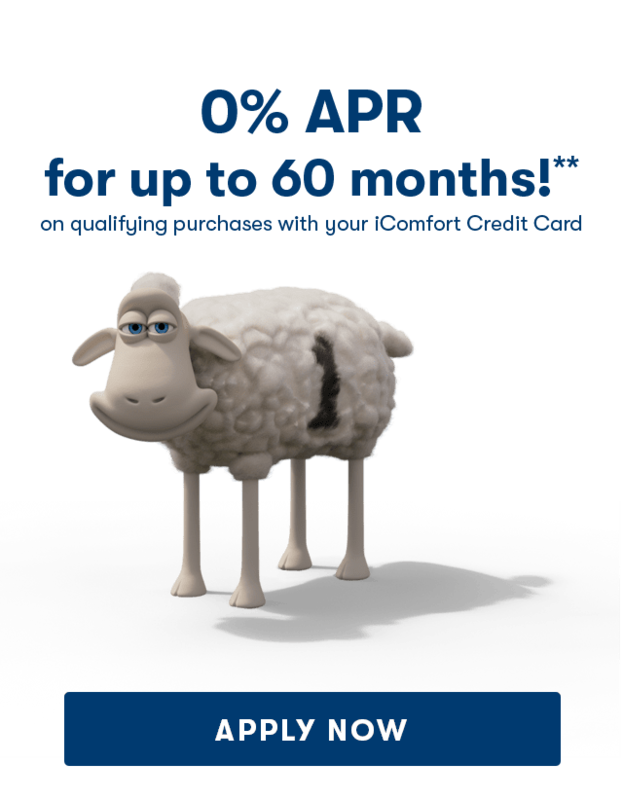 Model availability and pricing may vary by authorized Serta retailer. Comfort for the win -- plus incredible back support! The first night we slept on our new 1000 Firm Serta Mattress I barely woke up, compared to my several times a night wake ups with our old mattress. We love the firmness which provides wonderful back support, yet there is a gentle plushness and an amazing cooling factor of the gel as the top layer. After sleeping on it for a week our spines have come back into alignment and we are in less pain and more rested everyday. My only complaints are I have to use a step stool to get in the bed because of it's incredible plushness and I don't want to get out of bed in the morning! Eliminated Husband's Lower Back Issues!  The Serta Hybrid 1000 Firm mattress is OUTSTANDING! 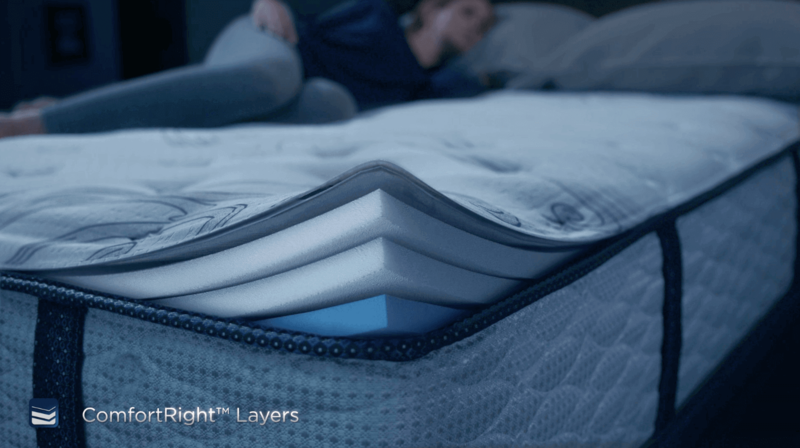 In the past, we have owned more traditional coil spring mattresses and full memory foam mattresses, but had never tried a Hybrid. To our surprise, this mattress is extraordinary in comparison, as it combines both coils and memory foam. Our hips were not properly supported with our old mattress and sunk into the mattress creating a hammock effect. I believe this may have been the culprit with morning lower back pain. When our Serta Hybrid 1000 Firm mattress arrived, we laid on it and instantly felt exceptional support upon our lower backs. This model provides superior support we desperately needed, along with a slightly plush top for superb comfort. The 1000 Firm mattress provides relief of the uncomfortable pressure we felt with our old mattress throughout our entire body. We could not be more pleased with our new Serta Hybrid mattress and finally experience well-rested sleep again! We loved this mattress so much, we decided to purchase it in King size as well! If you are looking for a mattress that provides support with a more plush top, I guarantee you will love the 1000 Firm as much as we do! This product is so soft and firm. Best bed ever. Hey y'all, So this 1000 firm is amazing. I had a different brand softer memory foam pillow top and kept waking up just miserable, still tired and in lots of pain, I never thought it would end. Well I got the 1000 firm and at first was skeptical because I did not think my bed was the problem. Well I was wrong set my bed up and couldn't wait till night time to sleep in it. That night I layed in bed and wow, it was so soft so firm and nice and cool. I feel asleep so fast didn't toss and turn and woke up feeling well rested no pains in my back and ready to take on the day. The husband even woke up in less pain then normal. This bed is amazing. It is a nice soft yet firm mattress, the handles on side make it easy to move an rotate and most of all it somehow helps keep you cool at night. I have never been so happy with a bed and haven't had this great of sleep in years. I live my 1000 firm. AHHHH-MAZING comfort! Bye-bye, back pain! I've been needing a new mattress, since I recently realized that our bed was contributing to my chronic back and neck pain. I typically prefer a soft mattress for comfort, but my back really needs firm support. On our old mattress, I'd been waking a lot during the night, tossing and turning, trying to get comfortable, and usually waking up with lower back pain.  I was excited to try this new iComfort 1000 Firm but was a little concerned that it might be too firm for my taste. To my pleasant surprise, even though it felt firm at first, it was quite comfortable, and felt better the longer I laid on it! I've had this mattress for about a month now, and I could not be more pleased with it. The support is perfect - I get in one position and sleep for hours without the former tossing and turning. I don't wake up with back pain! AND, this mattress is INCREDIBLY comfortable! It's the perfect balance of firm and soft - support without compromising comfort. I would highly recommend this mattress, especially to anyone suffering from back problems. Pros: *No more back pain/stiffness when I wake up. *No pressure points. *Less tossing and turning. *Good support. *Incredibly comfortable! Cons: *The mattress is really thick and my mattress pad wouldn't fit. No big deal, it just takes a little getting used to! The skinny: I'm in love with this mattress! I couldn't be more pleased! This mattress has been a lifesaver for my husband and I. We both had back pain and within a week I had noticed a major difference. Now after 2 months, my back pain has been completely eliminated. I have been sleeping without tossing and turning all night. I wake refreshed and ready to start my day. I would recommend this mattress to anyone looking for a firmer mattress with that pillow top type feel. Very comfortable. We love it! I have been sleeping on the icomfort 1000 firm for about a month and l must say I am overall pleased with the mattress. The mattress is very tall so extra deep pocket sheets are needed. The gel infused memory top is helpful in cooling of body heat on hot nights which is great. The memory foam is very comfortable when falling asleep, but compresses more than I anticipated throughout the night. I am a side sleeper and if i am near the edge of the bed it almost feels like I am being pushed off the edge by morning. Would be great for back or stomach sleepers and even side sleeper that can sleep in the middle or away from the edge. 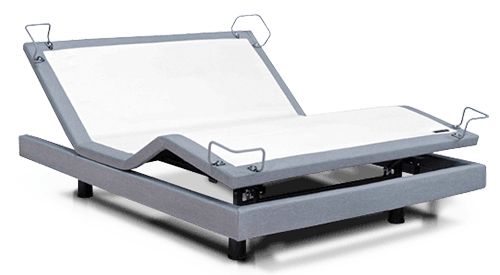 This bed is great for relieving pressure points and helping me to fall asleep faster and wake up without acha and pains. I would recommend the bed to friend and family. Can't wait to go to bed !!! We were skeptical about trying a new mattress, but after trying the new 1000 Firm I Comfort from Serta we were so glad we took the leap! It's clearly made from high quality materials because it feels amazing! We used to toss and turn at night and now we can't wait for bedtime! Our kids even want to sleep in our bed now! We highly recommend getting this mattress! Best bed I have ever owned!!!! I LOVE THIS BED!!!! This is the best bed I have ever owned. We had a top of the line foam mattress and I would not sleep well, wake up with back pain, wake up with neck pain, and be exhausted all day. I hated it. We got this one free for my honest review and I am so glad we did because I haven't slept this good in over 20+ years. My first night sleeping in the bed I woke up with no pain, well rested, and had energy all day. I thought maybe it wouldn't continue to be this good after a couple days or even weeks after we "broke it in" after sleeping on it for a couple weeks. I am completely surprised that after almost 2 months it is just as amazing as the first night. I love the sleep I get in this bed. As a mom of 6 I NEED my sleep but I wasn't getting it on my old mattress (when I say old I mean we had it less than 2 years). The only part my husband doesn't like is that he can feel it when I get in and out of bed. He sleeps so great that he doesn't want to get out of the bed and he is hard to please when it comes to mattress'. This product is simply amazing!!! I don't think the I have had such great sleep in a long time. I cannot praise this one enough. No more backaches! I can not give this any higher of a reccomendation. I normally prefer stuff mattresses but this one is incredible. I have back issues and for the first time in a long time I'm waking up without pain in my back and joints. My husband who is an avid snored and also stopped snoring which is a miracle by itself!! The way the foam molds to you has kept me from my normal tossing and turning and I believe helped me get into a deeper sleep much faster. I feel so much more rested than ever before! A satisfylingly restfull mattress for two different sleepers. My husband and I have previously struggled to agree on a mattress, as we generally sleep in different positions with different firmness preferences. Previous experience with a memory foam mattress yielded inconsistent firmness with terrible heat build up that left us both sore and uncomfortable. Prior to acquiring this Serta mattress, we went for a different brand hybrid memory foam and coil mattress. 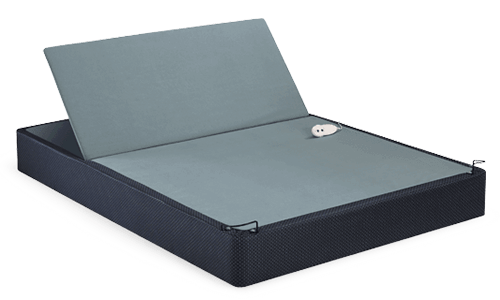 At first it seemed that the classic coil support combined with a memory foam cushioned upper layer would provide the ideal combination of support and cushion that we needed. 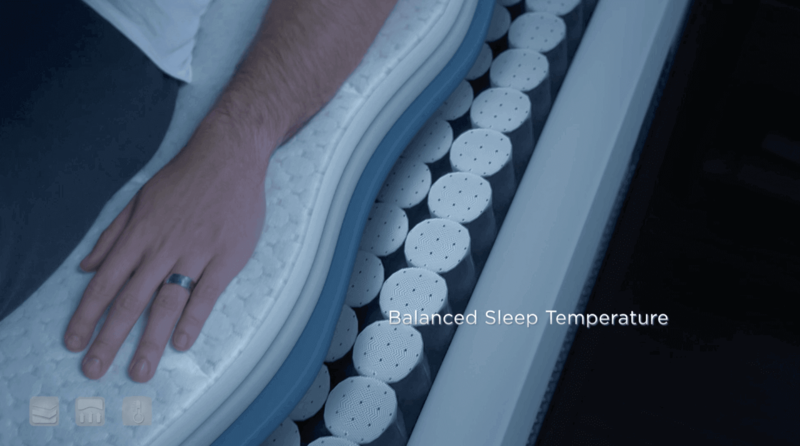 Unfortunately, we were quickly disappointed as that mattress offered uneven support with a constant sinking feeling and a severe problem with heat build up. This mattress exceeded our expectations. My husband is very happy and waking up easier with significantly decreased morning stress. Myself, I've found the cushion of the gel memory foam top in tandem with the coils to fit my side sleeping habits much better than I'd anticipated. 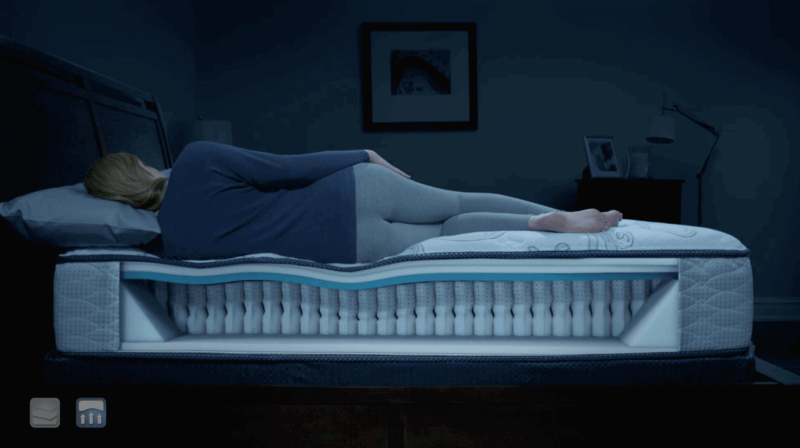 What has surprised me is just how comfortable the mattress has been through both winter and summer months, especially resisting heat build up. Sleeping on this mattress has been something to look forward to each and every night. The mattress is quite nice. comfortable. It forms to the body, is not too hot. Is firm, though I wish it was a bit more firm. The mattress is very deep, normal sheets fit comfortably, but do not go all the way down. It also has nice built in handles on the sides that make moving it a bit easier. Overall, I am quite pleased with the mattress and the quality of sleep I get on it. I like the firmness underneath with the additional layer of softness on top. My previous mattress of another brand lasted a long time. It was, however, never as comfortable as this Serta right from the start. I believe my sleep has definitely improved. My husband agrees. We like the softness combined with the firm construction and foundation. I love my new Serta! I was sleeping on a very inexpensive mattress. I didn't realize how much better I would sleep until I purchased this mattress. It was a great value, and has improved the quality of my life! Great. First night sleep on it. Haven't slept so good since forever. I didnt think I would like a mattress this much and I was quite surprised that I did. This mattress has the perfect firmness for me, making it the most comfortable mattress that I have ever slept on. Yes, I'm serious and I'm not exaggerating. So many mattress are too soft and lumpy to me but this one really is the perfect mattress. I don't feel uncomfortable and warm either. I kind of want to lay on it forever. My body truly does feel relaxed every time I lay down, I love it. we purchased this king set for $1500 and within 2 years it has a very uncomfortable lump in the middle of the mattress. Levin Furniture in Greensburg PA came to check it and stated that the indent is only 1 inch therefore nothing can be done. Needless to say that is not satisfactory. It sleeps a little better every night. You must give this mattress time to adjust to your body. I really like this mattress. It seems it sleeps better every night. I also like the fact they it has a cooling feature added. Fought the 'heat' through the night, and woke up with a sore back on old mattress so searched for a new one. After 'trying out' numerous models we decided on the iSeries 1000 Firm - and it was a great choice. No more back soreness in the morning, and we stay cool through the night. Very pleased so far with our purchase. Just received split king with adjustable base. Previously had Serta pillow top king mattress. Great mattress, but wanted the adjustable bed.